Chilling out in Los Angeles, 2016. 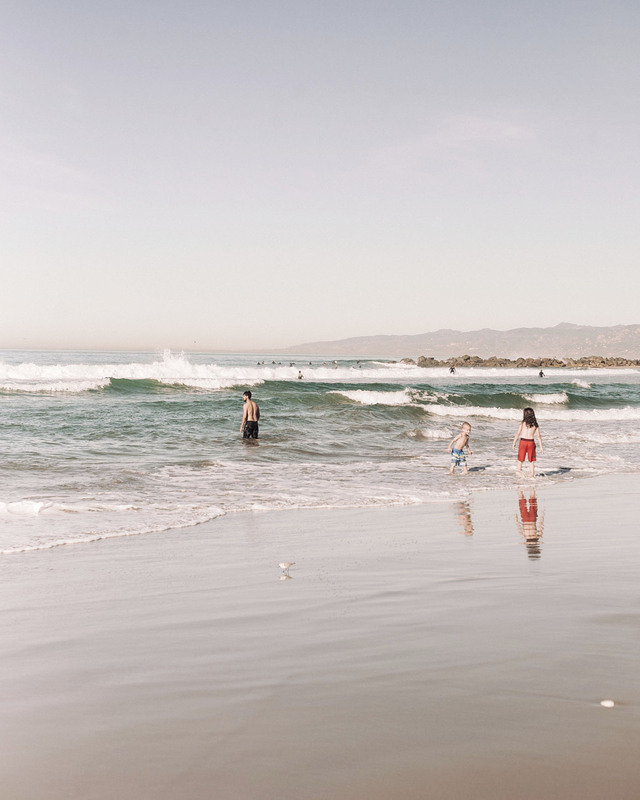 “Growing up on the central coast of California has convinced me that warm, Mediterranean climates help us get close and let loose [...] I think it’s a combination of the weather, the water, and the warmth that instills this knack for slowed-down, chilled-out living”, writes Julie Pointer Adams in her book Wabi-Sabi Welcome. While we cannot all just move to California, we can visit and learn, or, even without visiting, bring a more relaxed vibe in our lives and homes. Conversations we take part in and gatherings we host. You know those people who are just inspiring and nourishing to be around. People who, after you met them, leave you with feelings of harmony and positive expectation. Possibility. Excitement. We can all be that person, for ourselves and those around us. Invite people over without a strict plan or challenging menu. Pot locks allow everyone to contribute. Be present: at work, in meetings, at the shop counter. Listen. Be curious and pay attention to what people say, instead of focusing only on what you want to say next. Lighten someone’s burden in a way that is effortless to you. This way, along with helping them, you do not add to their feelings of trouble but bring light, effortless energy to their experience. Breathe life into your home, even if you live alone, or it will easily feel hollow and unloved. Open windows, make tea, put your feet up, draw a bath, make a mess in the kitchen, invite people over, you know what to do. When it is sunny and nice, take a break and go outdoors. The responsibilities will wait.